I made this cute gift box using 1/2 of an acetate card box #144628 from Stampin Up. I added an insert from the Broadway Bound DSP #146277 that folds over an closes with a velcro spot. 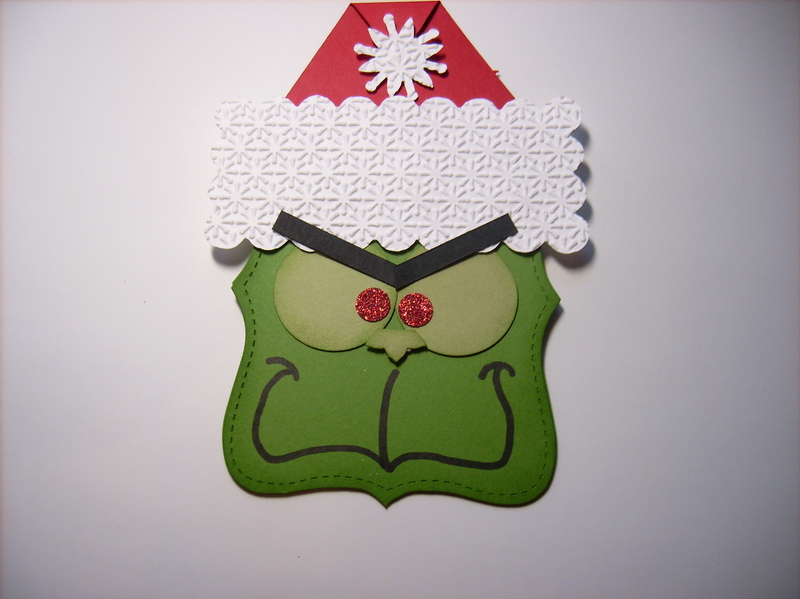 I added shredded packaging and the little gifts and a gift card to create a fun gift. 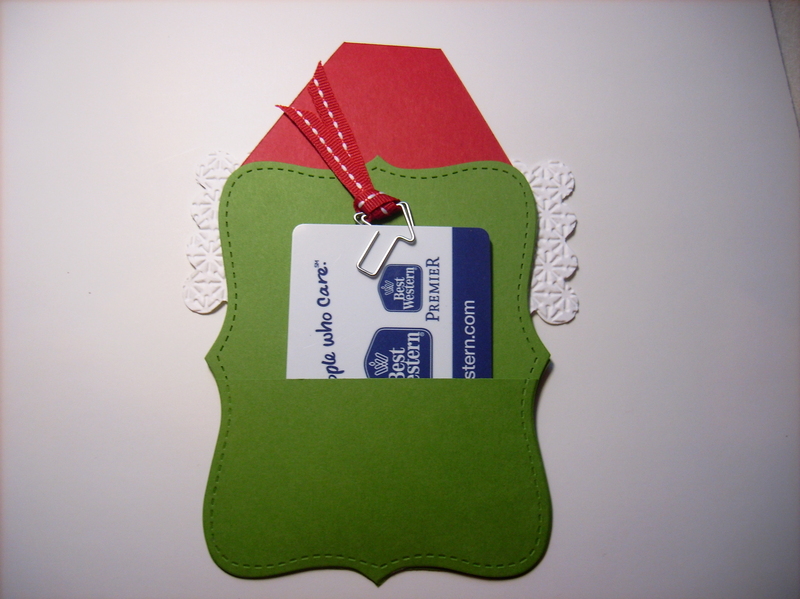 I made this cute little purse that holds a a note and a gift card inside the modified note card envelopes. The paper is left over from the now retired Tutti-Frutti DSP. The sentiment is from the Apron of Love #145835 stamp set from Stampin Up. The purse closes using a small velcro dot. 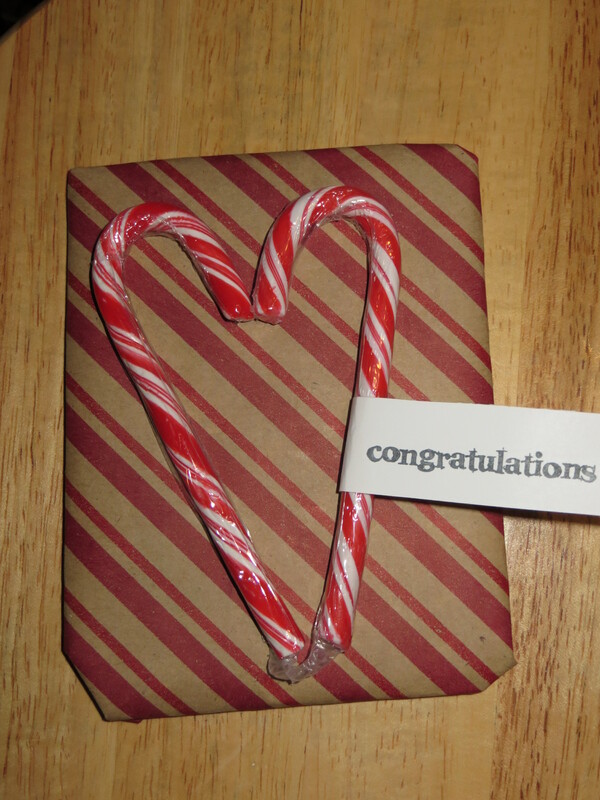 Today’s post is a real ingenious and clever gift card holder that my friend and customer Sheri made me for my birthday. It is made from a Stampin Up Treat Bagthat was folded to create a double pocket holder- One for the gift card and the other for the message. Sheri used my favorite paper(Botanical Garden DSP) and the Botanical Builder Framelits that are no longer available. Loved it and the gift card was a real treat! Today’s post is a sweet gift box featuring the all new Square Pillow Box #139657 Framelit die from Stampin Up. I stamped the 2 box pieces using soft suede ink and the Lighthearted Leaves #139712 photopolymer stamp set before assembling the box. 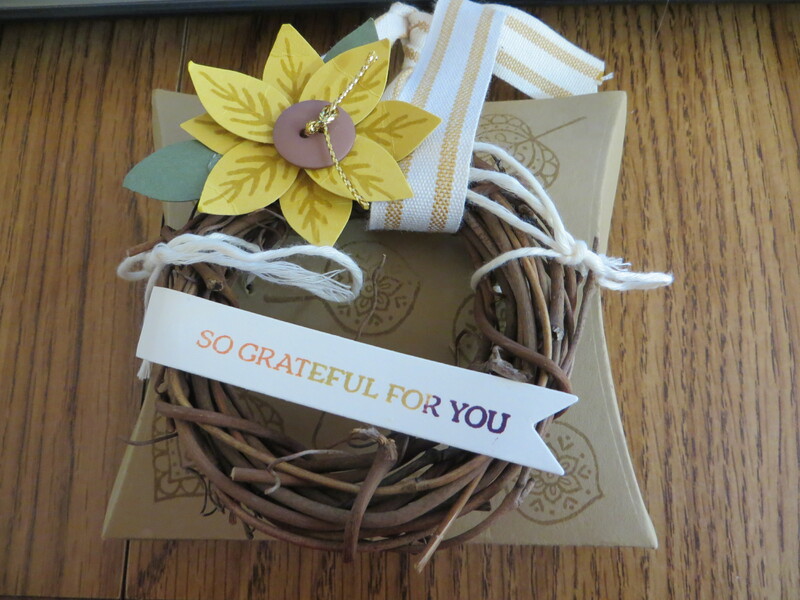 I purchased mini grapevine wreathes and added the sunflower using the Stampin Up Reason for the Season #139730 photopolymer stamp set and the coordinating Festive Flower Punch #139682 and a button center. I added a piece of Hello Honey 5/8″ striped ribbon #138417 to make it into an ornament. The sentiment is from the Lighthearted Leaves stamp set and cut into a banner using the die from a retired Stampin Up framelit set ( I cannot recall the name). The wreath was anchored down using bakers twine. The square box is perfect for a small gift or a gift card. I loved the grapevine wreath ornaments so much that I made the left over wreaths into more ornaments to give as random acts of kindness gifts. Today’s post is a cute gift card holder that Blair saw at craft fair and then recreated using Stampin Up dies and punches. The perfect last minute Christmas gift.